I had one of those “my eyes are bigger than my stomach” kind of weeks. The kind of week where I had grand plans of all the things I would accomplish, only to realize I only had the time to get through about one-fourth of my intended tasks. Almost every day had a something that broke up the day and didn’t allow me to get as much done as I hoped: I chaperoned a field trip, I had two different volunteer meetings, and it was my week to bring lunch to Luke’s school. Meghan’s birthday was also in the middle of the week. Blah, blah, blah. I know you don’t want to hear me complain about my busyness. But I do feel the need to apologize for 1.) never getting these updates to you by Thursday like I promised. I should have learned a long time ago to never promise posting on a certain day. It never works out for me. 2.) Not completing the whole challenge this week. Yep, I had a #DeclutterChallengeFail this week. 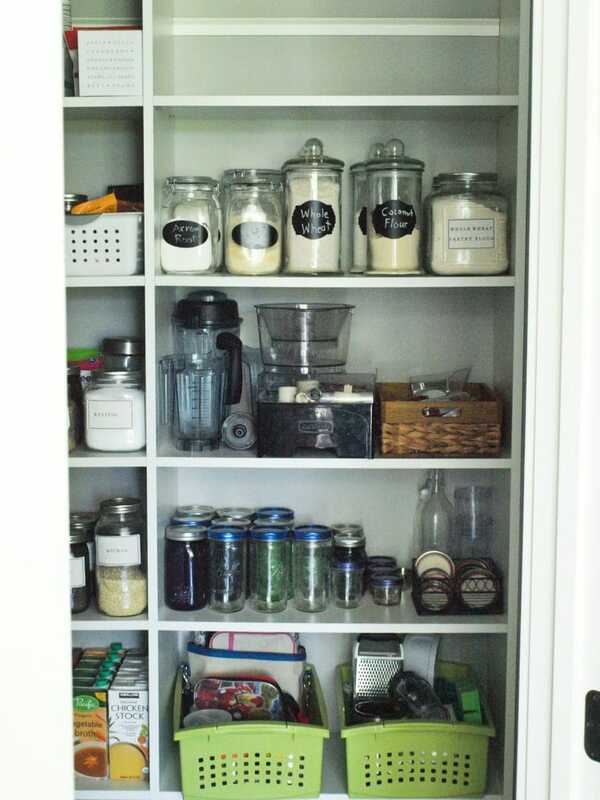 The challenge was to declutter the pantry, refrigerator, and a nightstand. Nothing like biting off more than you can chew (and overusing idioms). 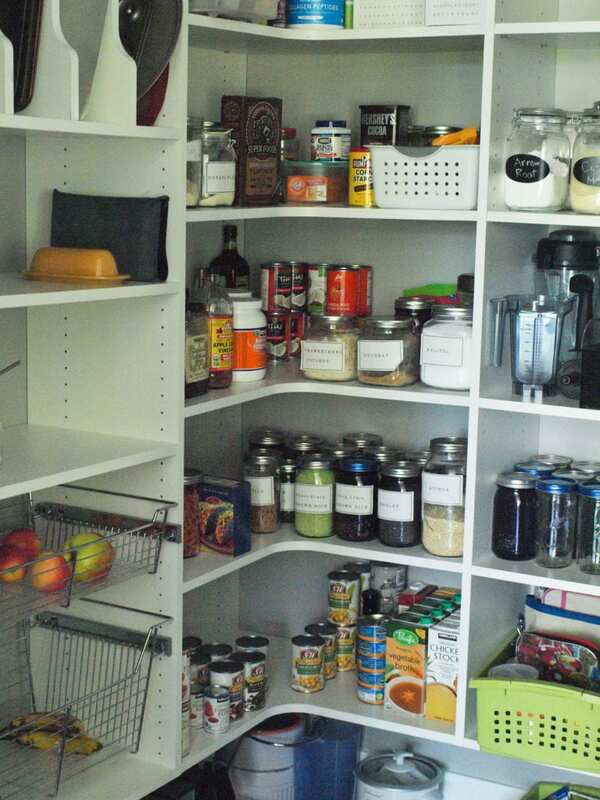 I did complete the pantry task. It took me almost six hours. Six hours! I love that it’s done, but getting one more decluttering task done just wasn’t going to happen. 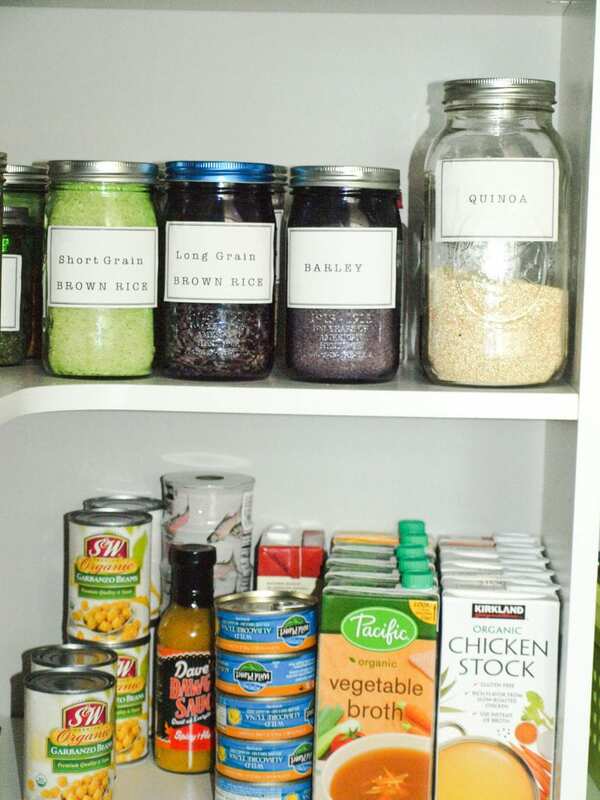 I’ve lived in houses with no pantries and houses with small pantries. 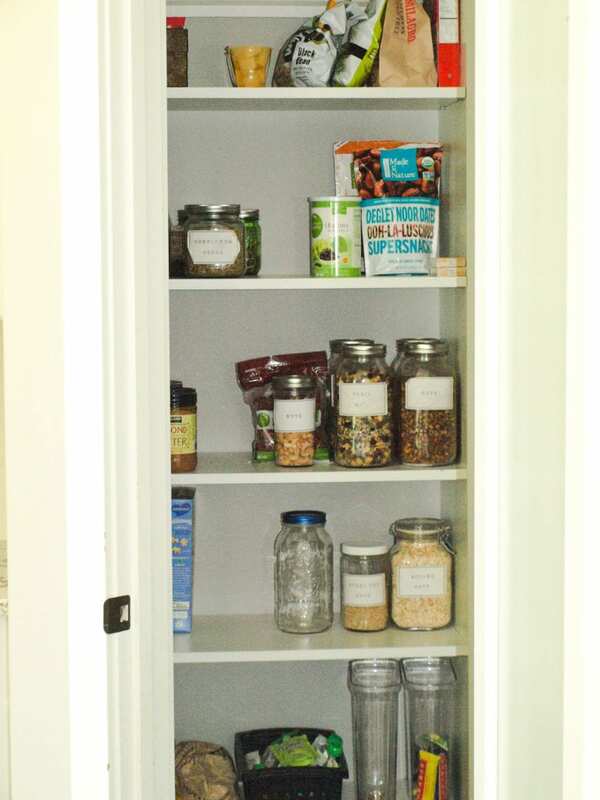 When we built our current house, my biggest wish was a big, walk-in pantry. What I didn’t realize that more space just means you accumulate more stuff! 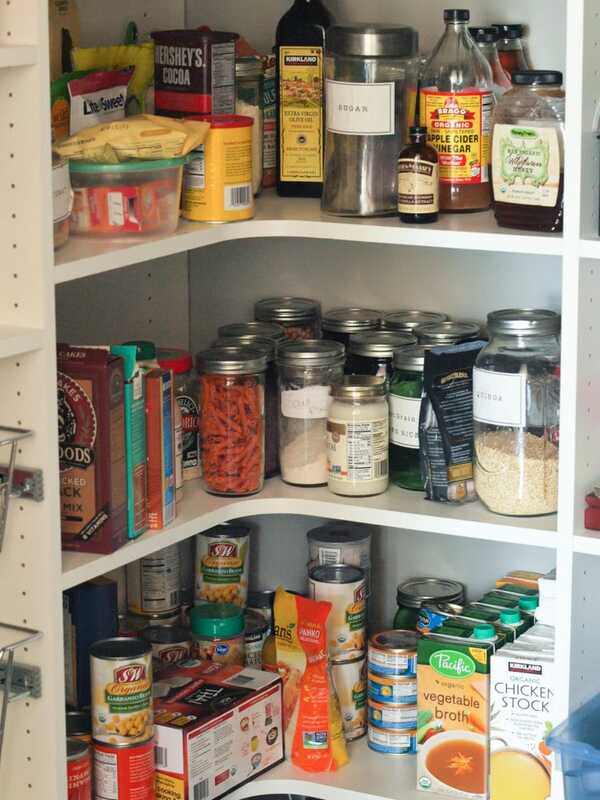 I can’t believe how much stuff I had in my pantry. This job was insane. Are you ready for picture overload? Okay, here we go! Let’s start with some BEFORE pictures. I had to take a lot of pictures to show you everything because there is nowhere to stand and get the whole thing in one view. You can tell that I decluttered my pantry at the end of the week. Our produce drawers are only this empty by the end of the week! You can also tell I shop at Costco. Hello bulk everything! The top shelf housed all of the mason jars I use for food storage and, of course, mason jar salads. 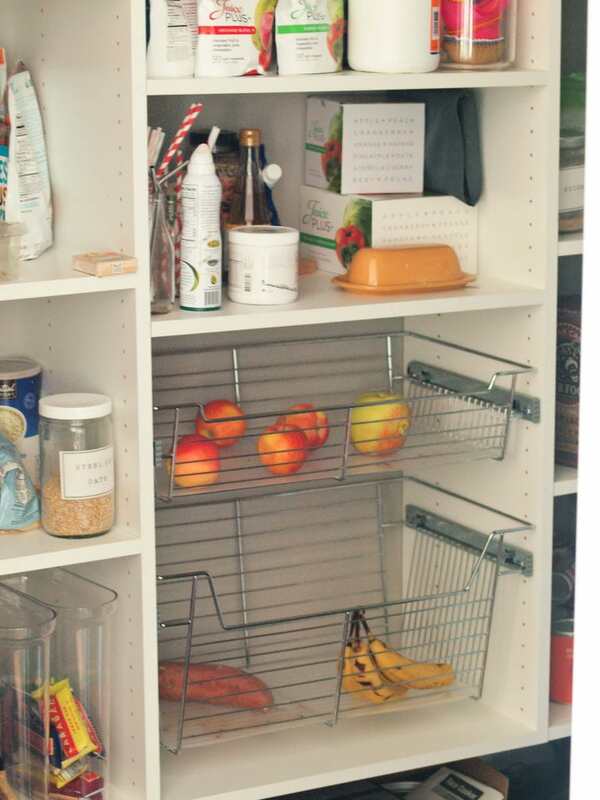 🙂 I also use the pantry to store small appliances and accessories. They were crazy messy and getting out of control. 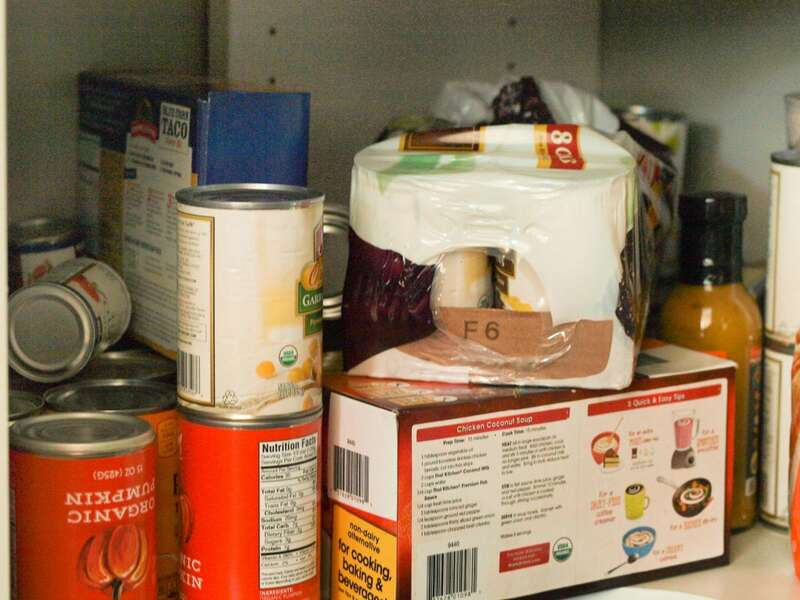 Here’s a close up of one of the food shelves. I’m embarrassed to admit some of the things I found in this pantry. Easter candy shoved in the back of the shelves. Items that I’d clearly bought a second of because I couldn’t find the first and thought we were out. I can’t decide what’s more embarrassing—this or my purse? I followed my own advice and took it all out. 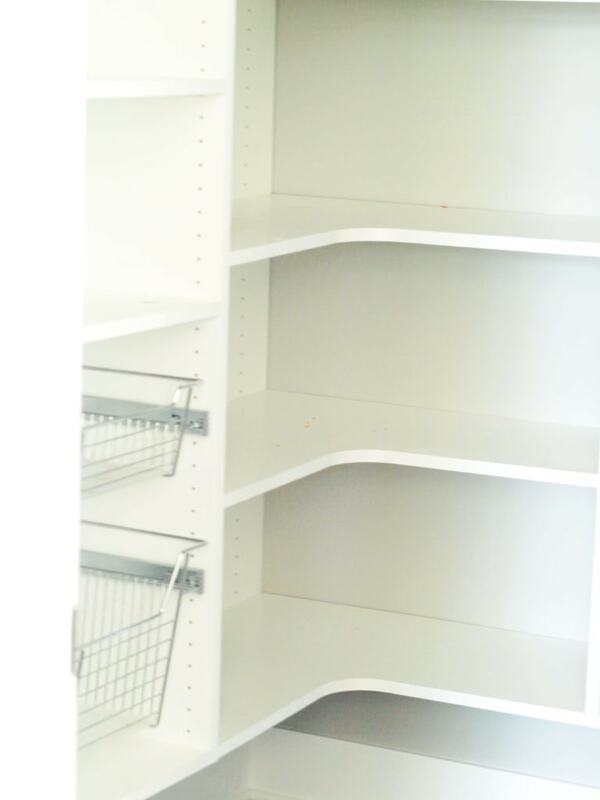 It felt weird to stare at an empty pantry. The items of my pantry took over my entire kitchen and dining area. Just emptying the pantry took a long time! The real work was sorting though everything and figuring out what we didn’t need to keep. I ended up with a huge box of items to donate. I threw a lot of junk away. As much as it pained me to throw away food, I did have to toss some things. I had a tub of Brewer’s yeast that I haven’t touched since I was nursing Luke and using it to make lactation cookies. There were a few expired things. Most of what I threw away, however, was not food. Once everything was sorted and categorized, I started putting things back in. I had so much less stuff that I ended up with an empty shelf! 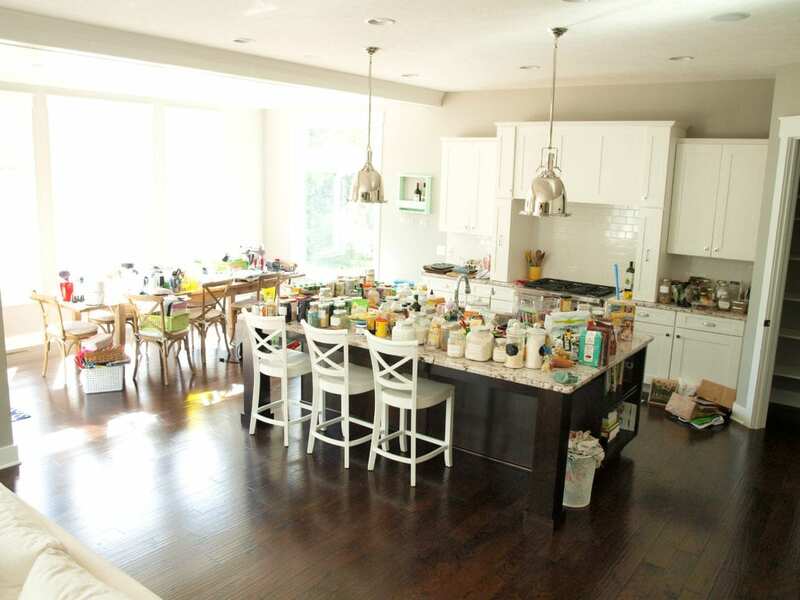 Getting rid of a lot of things allowed me to spread out the food so it wasn’t as cramped together. Now maybe I won’t forget I already have something because it’s hidden way in the back behind so many other things! 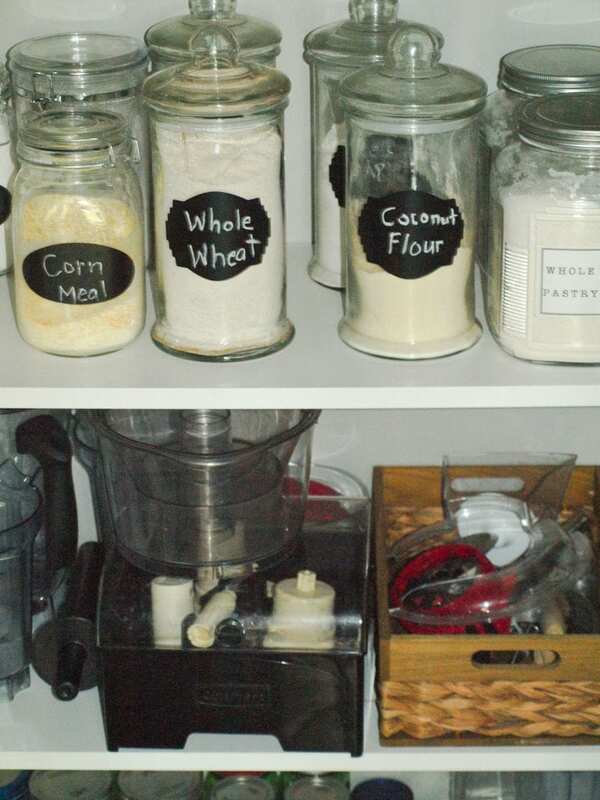 I made these labels with my Brother Label Maker a few years ago and they are holding up pretty well. I am so happy this task is over. I hope you’ll find some inspiration here. 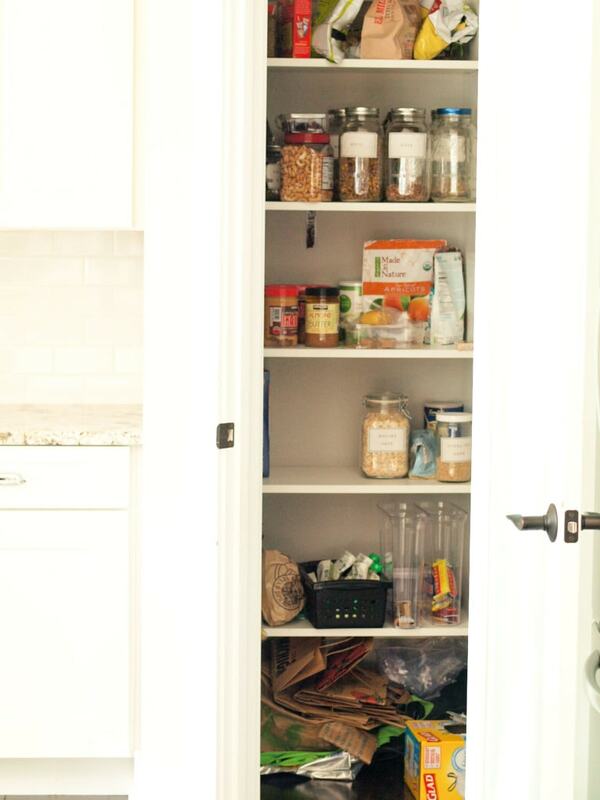 Cleaning out your pantry is a big task, but sooo worth it! 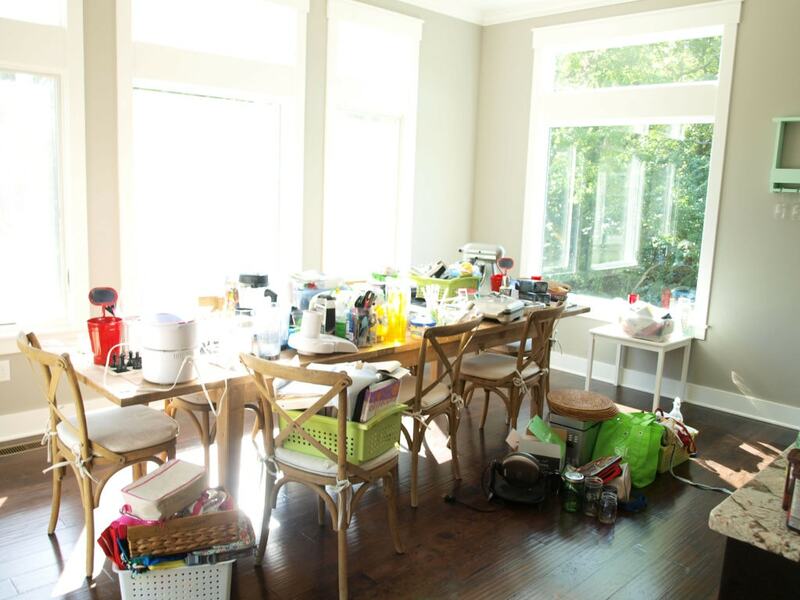 We have one week left in this Declutter Challenge! 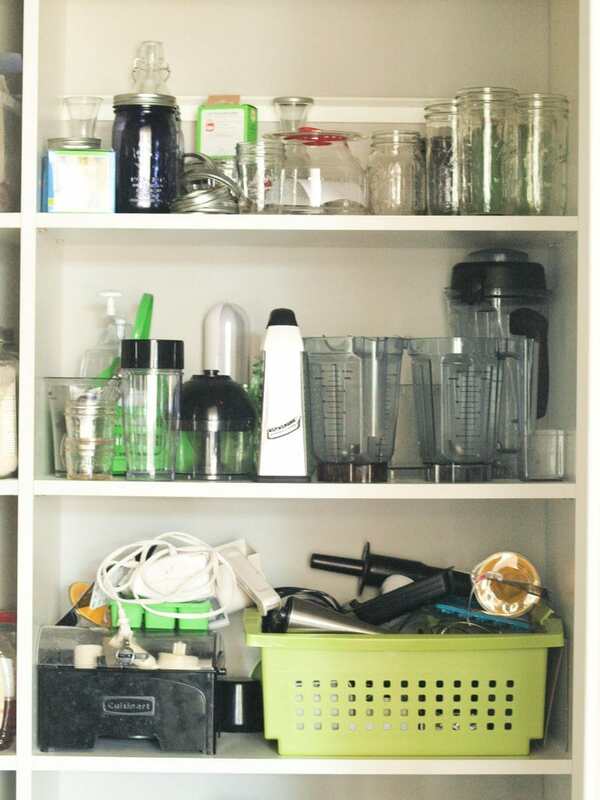 I think I’ll be ready to take a break from decluttering; how about you? This week we are tackling a closet! Choose any closet in your house that needs some attention. It can be your bedroom closet, coat closet, linen closet, or basement closet. Pick the one that’s the messiest! You are going to be floored when you see the closet I’m tackling. 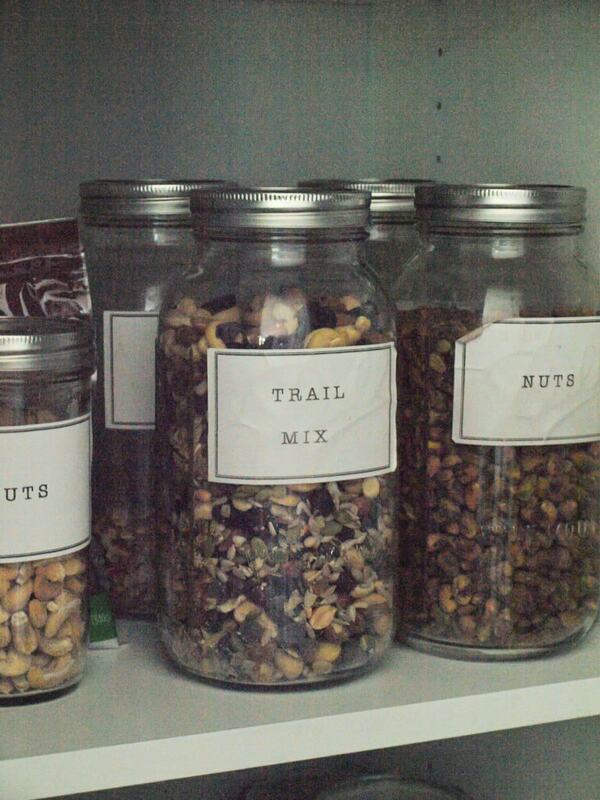 It may be an even bigger job than my pantry. I’m scared. Remove everything from the closet. Take it all out! This item belongs in another closet or room. This will be given away, sold, or donated. This is not needed and will be thrown away. This is not mine and needs to be returned to its owner. This is a “maybe”. If you can’t bear to toss something out because you might need it later, put it in the “maybe” box. 3. Take action on all the items that don’t belong in the closet. 4. 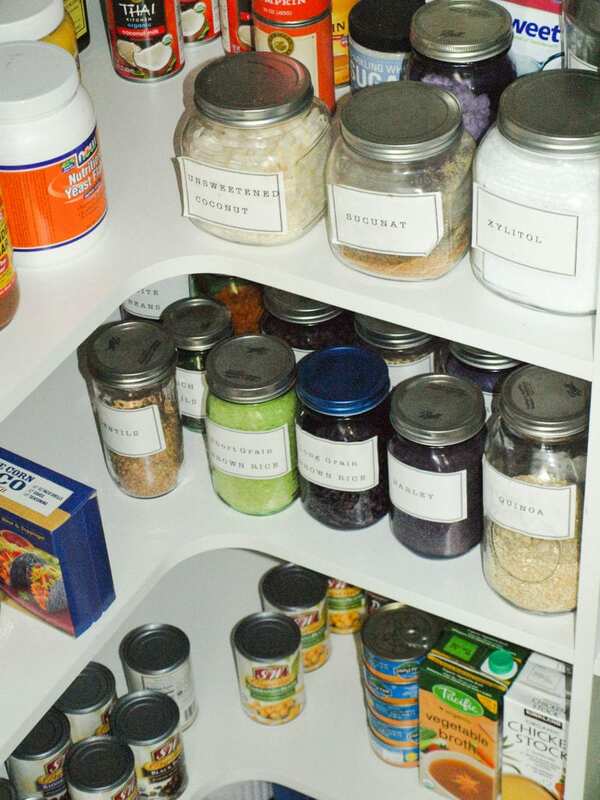 Organize the items and put them back into the closet. Having a tidy digital space can be just as good for your mind as a decluttered physical space. Take this week to choose at least one digital space to declutter. You can clean out your inbox, unsubscribing to the unwanted emails you keep getting (hopefully the Happy Healthy Mama newsletter isn’t on that list! ;-)), or maybe you need to organize your digital photo library. Pick a small task that will take you 10-20 minutes and go for it! Let me know how your Declutter Challenge is going. I love hearing from you! This post contains an affiliate link. Thank you for supporting Happy Healthy Mama!